Kids Corner - Football training for children, football coaching for kids, kids football skills. Soccer Star Coaching.Football training for children, football coaching for kids, kids football skills. Soccer Star Coaching. skills in the park and we can add it to you profile!! 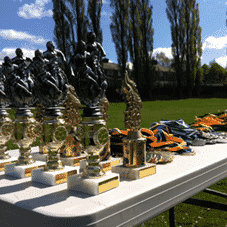 Mini leagues, tournaments and competitions are the reasons why so many of you return to our football training courses, not to mention the fact that each child receives a trophy and certificate. As if all that wasn’t enough some of you have even won signed memorabilia and also met with professional players! Children please make sure that you have your parents permission to upload your profile!! Please allow a few days to publish your profile once you send it to us as we need to check through the content!